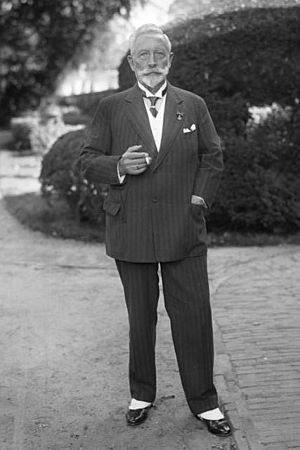 Friedrich Wilhelm Viktor Albert von Hohenzollern, Wilhelm II of Prussia and Germany, (27 January 1859–4 June 1941) was the last German Emperor and the last King of Prussia, ruling from 1888 to 1918. He went to live in the Netherlands and abdicated (resigned) as King and Emperor. He died at Huis Doorn and is buried there because he ordered that he did not want to be buried in Nazi Germany. Wilhelm died on June 4, 1941. 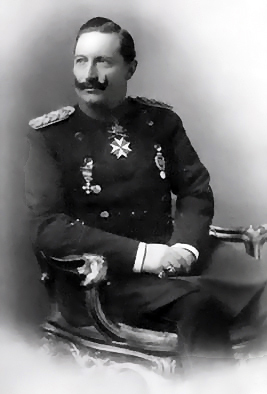 Kaiser Wilhelm II was born on January 27, 1859. He was the oldest child in his family. His father was Prince Frederick of Prussia. His mother was Princess Victoria, the eldest daughter of Queen Victoria of the United Kingdom. He was born with a disabled arm. He got married in 1881. His wife was Augusta Victoria. They had seven children. He first studied at the Kassel Gymnasium. Secondly, he studied at the University of Bonn. He became leader of Germany in 1888. He became the leader after his father died. Wilhelm was a strong military man. He believed in strengthening Germany’s armed forces. He led the German armed forces during the war. In this photo of Wilhelm, his right hand is holding his left hand, which was affected by Erb's palsy. 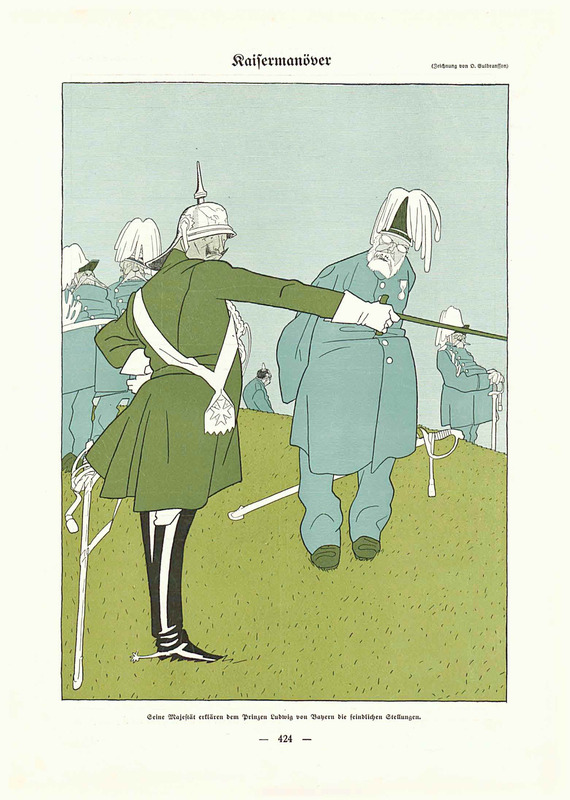 A 1904 British cartoon commenting on the Entente cordiale: John Bull walking off with Marianne, turning his back on Wilhelm II, whose saber is shown extending from his coat. Wilhelm II of Germany Facts for Kids. Kiddle Encyclopedia.